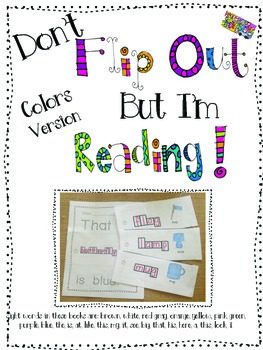 “Flip Out Colors Version” is a series of flipbooks that students create. 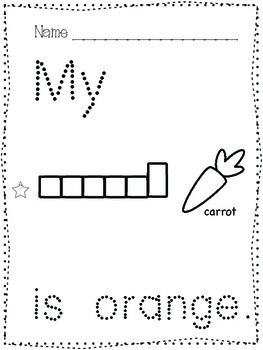 Each flipbook has pictures and common kindergarten sight words. 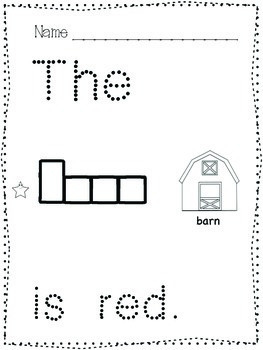 The words in this set are: brown, white, red, gray, orange, yellow, pink, green, purple, blue, the, is, at, like, this, my, it, see, big, that, his, here, a, this, look, I. I use these books as part of my station rotation. 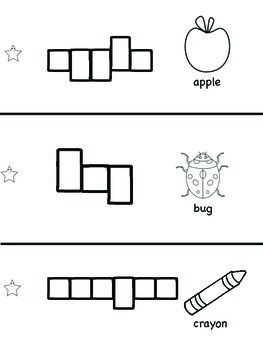 The students color, trace, write the word in the boxes and cut the strips. The students stack the strips by matching the stars. The strips can be in any order. At the station, I include a stapler and the students staple on the star. They read their book to their station partner and put it in their book boxes. These books are great for practicing handwriting and sight word recognition. Look for more “Flip Out” books on TPT. If you have any questions, please e-mail us at peaceloveandkindergarten@gmail.com.